Russell Hobbs Brings a New Blender to the Table. 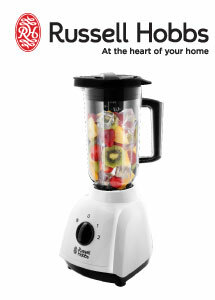 Making purees, smoothies and soups has never been easier with the new Food Collection Food Blender from Russell Hobbs. The 24610 Jug Blender features a filling cap, 2 speeds, removable blade for easier cleaning, a pulse function and a 1.5L capacity.